Since Act 20 became effective, an increasing amount of companies are relying on a head hunting company to build their staff in Puerto Rico. The reasons are obvious. It’s cost effective to hire head hunting companies. Especially when you are a foreign company establishing your business in a market that’s new for you. Thanks to Act 20 and Act 22, Puerto Rico has become the new “it” place for foreign companies and investors. With tax incentives that are hard to match, the fact that there’s a big talent pool to choose from is just the cherry on top. In simple terms, head hunting companies oversee staff recruitment for your company. As CEO of a foreign company launching in Puerto Rico, you may have trouble finding the right talent for your business, quickly. 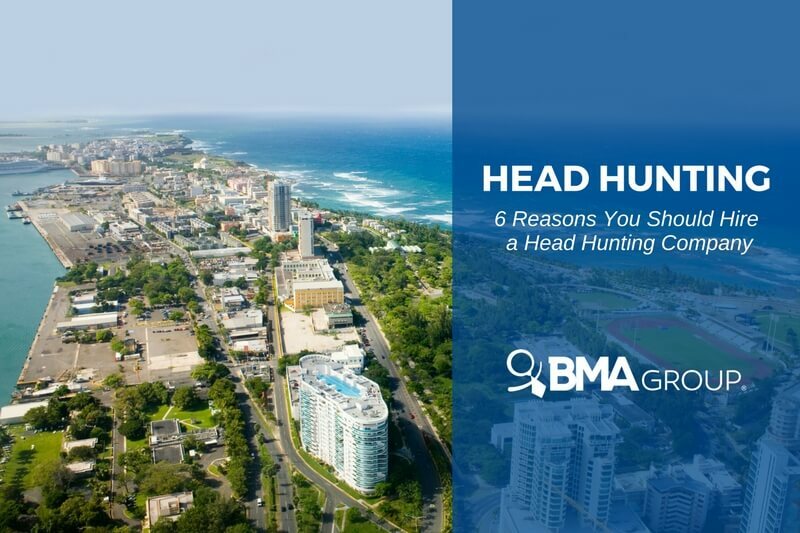 This is how headhunters in Puerto Rico are valuable. They understand the local market and know where to look right away. They may already have some resumes in hand that fit your needs. As a new or expanding company, you need the best-prepared team available. Finding them doesn’t have to be your job. As a newcomer, you might not know where to start looking. Searching for candidates and training new recruits is very time-consuming. A local head hunting company understands this. They also know that recruiting isn’t your top priority, with everything else you have at hand. Therefore, they can lift that weigh off your shoulders because they are dedicated to one task: setting up your team; a strong foundation to your growth. Recruiting agencies will research your company to assess your needs. This will tell them who and where to choose from. Most importantly, they’ll set up your team to support that company growth. Headhunters in Puerto Rico are experienced and reliable. Dedicating to this sole task will render better results than those you would probably get from a full HR department. They can find you the best talent in a reasonable time. Everyone wins when a head hunting company delivers good results. Headhunters have a strong database of talent with expertise in different areas. Plus, the best head hunting companies will tailor their services to your needs. Furthermore, job hunters in Puerto Rico typically offer more than recruiting services. Assess your company needs and look for those offering leasing, outsourcing and talent development services. At the very least, recruiting agencies can provide much needed consulting to help you find your way in this new market. Rely on a company with vast market experience. In this market, a bilingual staff and a commitment to provide the best services possible make headhunters in Puerto Rico your best strategic move. When expanding or establishing your business in Puerto Rico, consider hiring a head hunting company. Recruiting on your own can quickly burn up much of your time and startup money. In these cases, optimization becomes even more relevant. That’s exactly what headhunters provide; optimization of your resources. They will help you set a strong foundation to succeed.